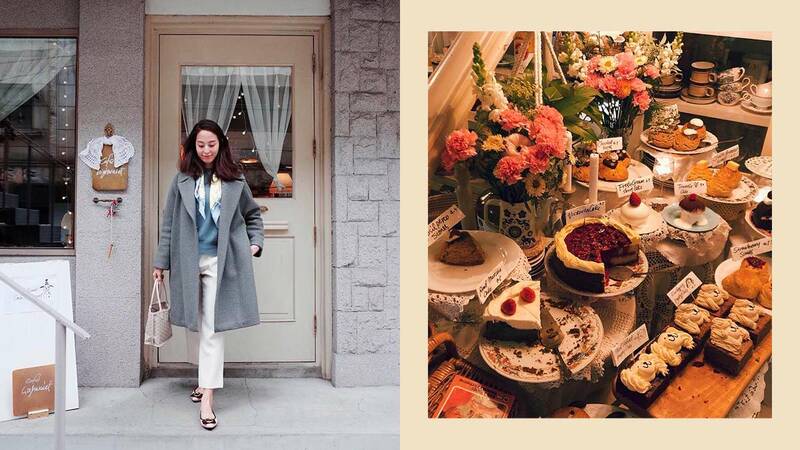 Add this hidden cafe to your Korea bucketlist. When I first read about Cafe Highwaist, I half expected servers there to be wearing highwaist bottoms, but nah. What it is, though, is a gorgeous hidden cafe located near Hongik University. If you're going to Seoul this year, make your way to this low-key spot before the tourists start flocking. The building is easy to miss because it looks like a home from the outside. When you walk in, you'll find yourself momentarily shocked because of the unexpected European vibe. Don't fight it. Take that mirror selfie. You'll see a table of freshly baked breads and cakes and quickly experience option paralysis because you'll want to taste e v e r y t h i n g.